I happen to just love the blog mmmcrafts. She has darling things and great ideas. 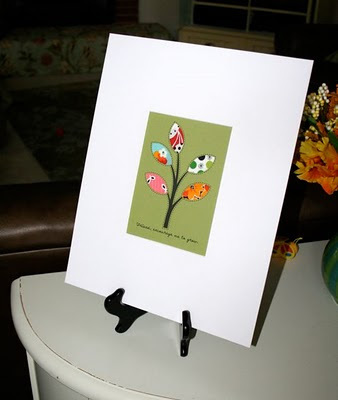 This morning she hosted this cute tree art using a charm pack. Although, really you could use any scrap fabric if you ask me. 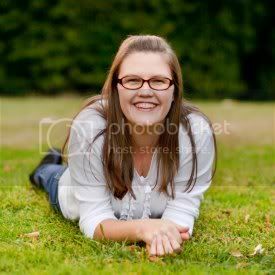 She even has the tree template for a 5x7 picture. Lately, I have been looking for art for my kitchen. I really like this. It could be a fun gift for a birthday present too. Go here to see how mmmcrafts did it. 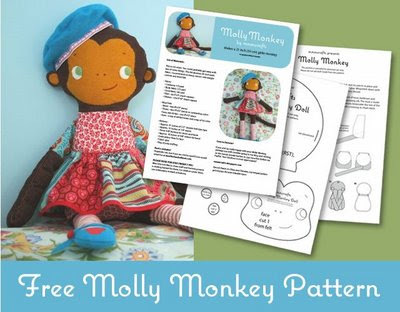 And then while I was on her blog I saw her cute Molly Monkey pattern. Somehow I had missed this in the past. But, now I have it downloaded. It is a FREE pattern to make that darling monkey. I love love it. Go here to get her pattern. Hi, there! 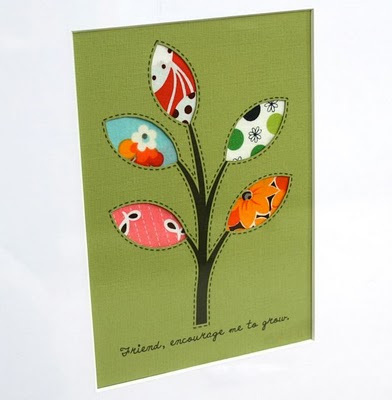 Thanks for featuring my friendship tree and the Molly Monkey pattern, and for your kind words! And Carly Jane, if you are reading this, the Molly Monkey pattern has always been free. The boy version with accessories, Mikey Monkey, is available in my etsy shop. I hope that clears up any confusion!